Telenor Arena | Møberingen Cup 2018 come to the Telenor Arena! Møbelringen Cup is the girls handball teams run up to the yearly championship in December. In 2018 these games will be played at the Telenor Arena before they set their sights to the European Championships in France. The past two years the tournaments have been sold out, both in 2016 at the DNB Arena in Stavanger as in 2017 at the Sotra Arena. Both places would have had more people attending if there had been more space available. In November the Telenor Arena will set up to be able to take in 6-8.000 people, when Denmark, France and Hungary will try beat our handball girls on the 22.-25th of November. Kia Otnes, responsible for the event at NHF, will be putting together the biggest NHF event ever on her own. The background for the choice of location is due to the finals in the European Championships in 2020 will be held at the Telenor Arena. - We will be setting the hall up the same way it will be set up for the European Championships, just in a smaller scale, and we are setting ourselves up for a good run through with Telenor Arena ahead of 2020. It’s exciting with an event of this scale over three days, and we are hoping that it will become a real party for the people over the weekend. It’s very important for us that this is a good experience both for the players, the audiences and the volunteers that contribute, says Otnes. Møberingen Cup 2018 is also a part of the Golden League cooperation with Denmark and France. Rasmus Sandnes, the Managing Director of Telenor Arena, Norway’s largest multipurpose arena. He looks on with great excitement and expectations to be the host of the handball tournament over the weekend event. – We appreciate the good relationship we have with Norway’s Handball association and hope we can together make an event for the people. The fact that the Møbelringen Cup will be held at the Telenor Arena is a big deal. 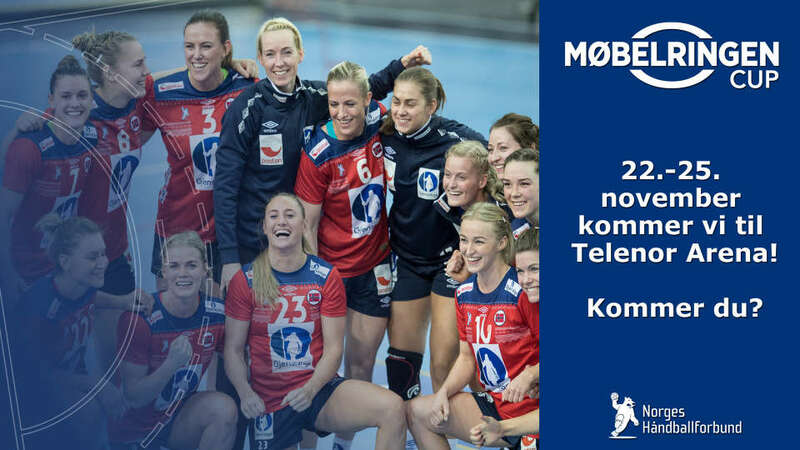 This is the flagship tournament for the Norwegian Handball association with great interest from the public and the media, and when the Arena will be set up to be able to take in 6-8000 audiences, it will make Møbelringen Cup 2018 the biggest one yet. He finishes by saying; we look forward to greeting the Norwegian, Danish, French and Hungarian national teams, as well as thousands of audiences for this tournament.